Electrochemical investigations of 1,2,4-triazole and benzotriazole in aqueous acidic media has been carried out by cyclic voltammetric measurements. 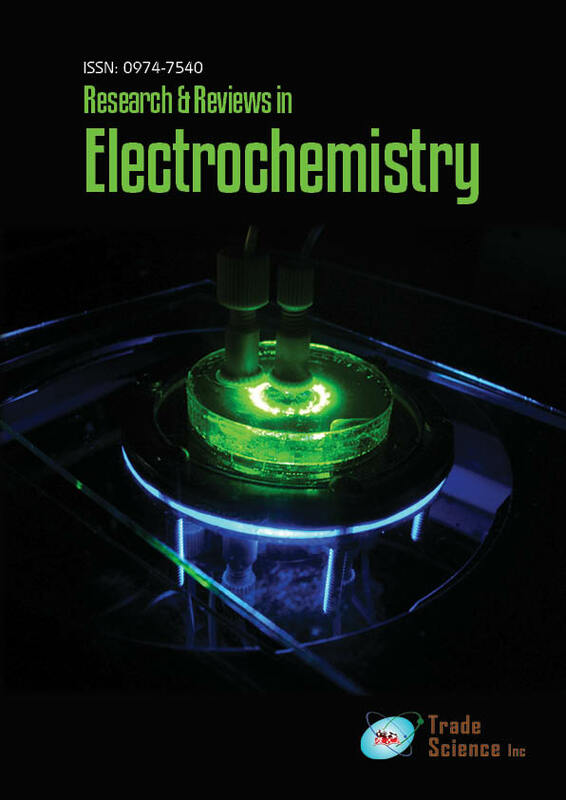 Cyclic voltammetric experimentswere carried on glassy carbon (GC) working electrode. Effect of potential scan rate, pH of the solution and use of different surfactant on the electrochemical behavior has been investigated. Single reduction wave was observed for 1,2,4-triazole due to the reduction of N = N moiety and no oxidation peak was observed in the reverse scan. In case of benzotriazole one clear reduction peak was observed in the cathodic scan and no anodic peak was seen. Effect of pH, sweep rate, analyte concentrations and the presence of different surfactants on the reduction peak current was evaluated. Electro-reduction processes of both the compounds were found to be diffusion controlled in nature. The plausiblemechanismfor the electroreduction process was proposed. Electrochemical property of two compounds was also studied under hydrodynamic conditions using glassy carbon rotating disc electrode.